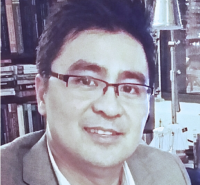 Dr. Eleazar Cruz Eusebio, associate professor in the Chicago Campus School Psychology Department, was interviewed about the benefits of lifelong learning in this article for headspace.com. Dr. Eusebio has been invested in developmental neuropsychology for many years and started his career as a behavior interventionist for adjudicated children and adolescents in 1996. He has since worked as an applied behavior analysis therapist, gifted and talented consultant, learning disabilities instructor, life coach…Read more.